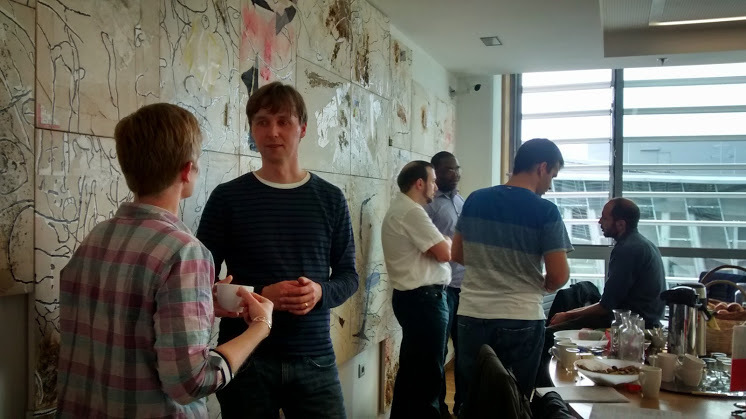 On 27th May, we gave a talk to the Manchester PostgreSQL Meetup group on the work we have been doing as part of the AXLE project. The PostgreSQL users and enthusiasts in the North West of England gave some of their evening to hear the talk which was organised by 2ndQuadrant. The talk was well received and an interesting discussion followed mostly around the issues of applying Machine Learning to this challenging problem, especially the existence of edge cases. A really useful suggestion from the audience was that the system could make use of system downtime to run its own training queries, targeting areas of the feature space that were sparsely populated. The talk started with an introduction to AXLE, describing the overall aim, the work being done by each of the project partners and how the different parts will all fit together. The main body of the talk was focused on the problem of Query Performance Prediction – predicting how long a query will take to run before it actually runs. The past approaches to this problem were considered which required a brief introduction to the ideas of Machine Learning. I then presented an outline of the approach we are using as part of AXLE and the plugin we are producing to implement our solution. The second part of the talk concentrated on the problem of augmenting the planner and helping it select the best plan more often. This is in part based on the need for the planner to know when to offload some of the execution of a query to GPUs or other processing units. In part, though, it is based on the existence of cases where the planner selects a “bad” plan after rejecting one that would have actually been faster. Robert Haas found that 5% of the complaints on the pgsqlperformance mailing list were the result of the planner rejecting a faster plan and selecting a significantly slower one – and that is after excluding cases where the planner cost variables are tuned poorly. The solution we are proposing as part of AXLE is to augment the planner with cost hooks that allow us to write plugins to predict the execution time of operations with more accuracy than the analytical model used by PostgreSQL at the moment. The planner will then be better placed to select the fastest plan and not reject it because of faulty costing. 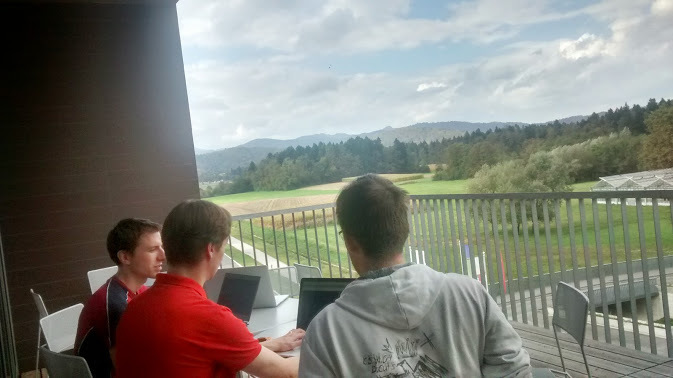 The AXLE partners met at the University of Ljubljana, Slovenia for the 4th project general assembly and 2nd industrial advisory board meeting on October 8th 2014. A 3 day meeting, the partners spent a day presenting progress to the IAB (Industrial Advisory Board), with a particular emphasis on hardware considerations, so that they could provide us very valuable feedback which informed the next two days. The rest of the meeting was a chance to work closely with each other on specific topics that have emerged over the last few months. The decision to have each partner host at least one GA has proved an excellent approach as we have seen new cities and experienced excellent hospitality in all. We visited a Serbian restaurant on our first night, followed by an Italian Pizzeria on our second – not because Slovenian food doesn’t exist, but because it takes so long to prepare traditional fayre! Our host also took us on a winding walking tour of Ljubljana, showing us the delights of a beautiful city. 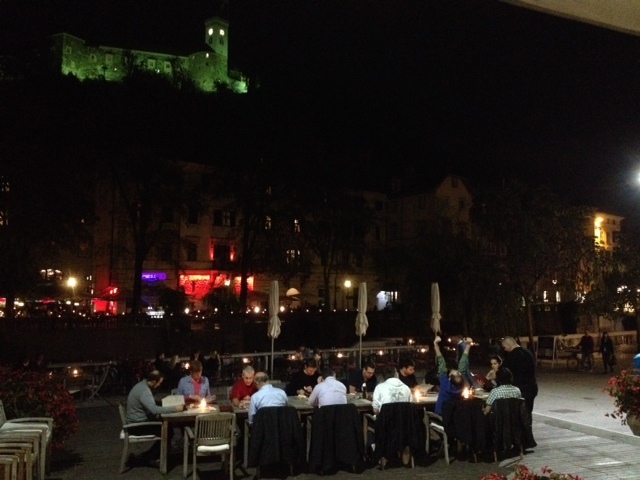 We were all entranced by the view of the moonlit castle from the restaurant terrace – a true Hollywood backdrop! 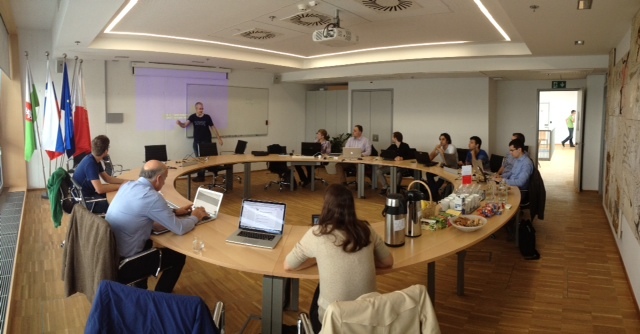 And with a General Assembly and 7 deliverables due at the end of October, this has been a busy month for the project. It is exciting to see the progress that has been made over the last 12 months! We are happy to announce the open source release of the AXLE simulation infrastructure for emerging memory technologies. The platform integrates a complete architectural simulator, with an accurate main memory simulator that allows modeling of 3D stacked and non-volatile memory architectures. The simulator has been tested extensively with single and multi process database management system workloads as well as the SPEC CPU2006 benchmark suite. The code is publicly available at the project’s github site. Originally posted on 3rd October 2014, this blog can also be found on the 2ndQuadrant blog site: http://blog.2ndquadrant.com/loading-tables-creating-b-tree-block-range-indexes/. This is the first of two related blogs. One of the most often used method for analyzing data in visual analytics is data binning which is basically a form of quantization. The main use-case for this is creating histograms. To make this easier, the SQL standard (and PostgreSQL) provides function width_bucket which can be used to generate equi-width histogram where each bucket is the same size. It is however often the case that you don’t want the buckets same size buckets. The way to solve this until now was to use CASE statement which in case of having many buckets will produce long and ugly queries and the performance will not be very good. In PostgreSQL 9.5 this will be much easier and thanks to new variant of the width_bucket function that accepts value and a sorted array of upper bounds for each bucket. Unlike the original width_bucket which works only for floats and numerics this new function will work for any sortable datatype (that includes timestamps for example). Important part is that the array with thresholds has to be sorted from lowest to highest value otherwise you will get wrong results. The performance testing done by developers of Orange visualization and analysis tool shown that the queries using this function compared to their old CASE approach are up to 10 times faster (depending on the number of buckets).